Thanks for visiting Marshall Batteries Sorell. Our local team are your battery experts and provide you with the very best advice on the complete Marshall Battery range of products and related battery accessories. 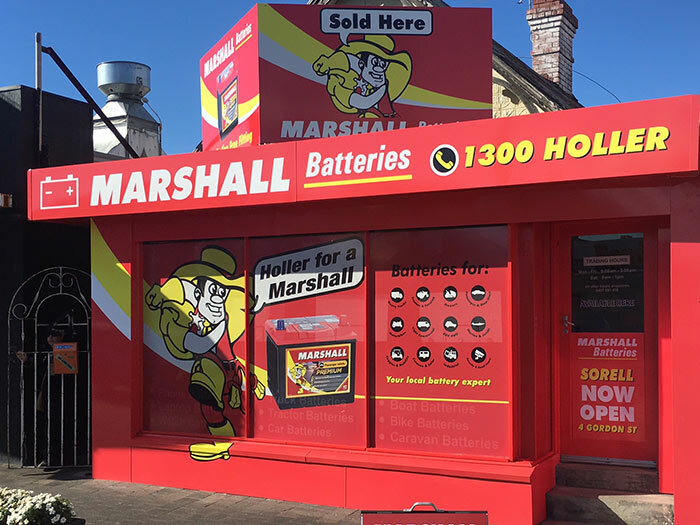 With sound advice and the best battery solution, Marshall Batteries Sorell is the one stop battery shop. Not only do we do car batteries, 4X4 and truck batteries, we are also specialising in boat and jet ski batteries along with all related battery accessories. We can recommend and install the right battery for you no matter what the battery application. Our huge range includes motorcycle batteries, home and garden batteries, including AA batteries, AAA, lawn mower batteries, and battery products as well as a massive range of farming and tractor batteries for Agricultural purposes. If you need a solar or industrial deep cycle battery, 4WD battery, Quadbike battery or even a forklift battery in the Sorell and Southern Tasmanian region, we can assist you with the best product for your needs. And if we don’t have the battery in stock we will source your battery for your specific battery application. And if you want us to come to you, we have a 24-hour mobile service for roadside assistance, batteries delivered and expertly fitted roadside at home, onsite, work, at the farm or marina to get you out of trouble day or night. Our batteries are specified to car battery OEM requirements or greater and provide specialist fitment of all automotive, commercial and marine batteries. We can meet your battery budget no matter what by offering a good battery, better battery or best battery range. Marshall Batteries services the entire Tasmanian region so if you need a battery in Tasmania we can assist you from one of our six location State wide, Hobart, Sorell, Launceston, Devonport, Burnie and Smithton or we can provide roadside assistance right across Tasmania. Where ever you are we can get you going fast. We have everything you need in battery accessories, battery chargers, invertors, dual battery kits and battery trays, 12V battery accessories and a full range of other batteries such as AAAA Batteries, phone batteries, remote control batteries, hearing aid batteries, watch batteries, button batteries and even power tool batteries. Brands include Matson, Master Instruments, Piranha Off-road products and the legendary Marshall Battery range. Marshall Batteries Sorell is also a Battery Collection centre. 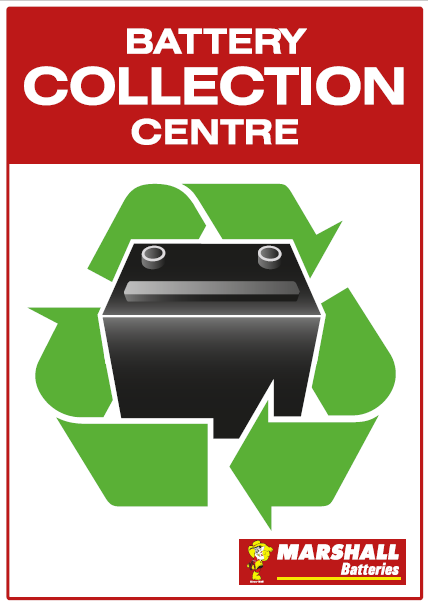 Bring your used lead acid battery to this location for safe and responsible recycling. Environmental stewardship and recycling is a major focus in all Marshall operations. Marshall Batteries manufactures new batteries which are 98% recyclable and 85% comprised of previously recycled materials, so help us support our environment and re-cycle Used Lead Acid Batteries (ULAB) wherever you see this sign, right across the country. Marshal Batteries Sorell provides a free extended battery warranty which covers you right across Australia, roadside day or night, for peace of mind. You don’t need costly roadside assistance in the Tasmania, you are covered 24/7 if you Holler for Marshall Batteries in any of our outlets State wide and right across Australia.